BP is under fire after congress releases internal documents from the company. 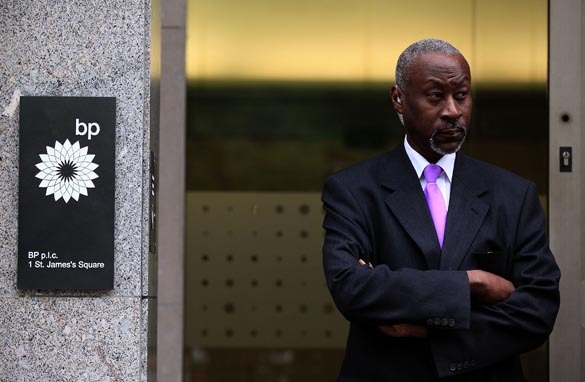 The documents question whether BP was more interested in cutting costs and not safety. We're keeping them honest. Plus, we'll have all the other developments live from Louisiana. 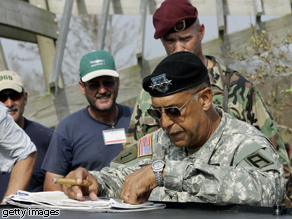 Lt. Gen. Russel Honoré looks over a map of hurricane damage in Louisiana, 2005. The Louisiana native who was the commander of task force Katrina has some very definitive ideas about what should be done with this oil disaster. Lieutenant General Russel Honoré says World War III needs to be declared in an effort to win this battle of the oil. He also likens BP to a "mugger" and then "having the burglar determine what the compensation is." The Gulf of Mexico needs to be saturated with military power says the retired General. And it needs to start now. We'll have our candid conversation with Russel Honoré tonight on AC 360. Get ready for BP vs. Congress. Internal documents from BP appear to show that the oil company put profits ahead of safety in the days and hours before the Deepwater Horizon oil rig explosion, a congressional investigation found. BP chief Tony Hayward has received a letter from House Energy and Commerce Committee Chairman Henry Waxman, D-California, telling him to be prepared to answer tough questions about the investigation when he testifies on Capitol Hill on Thursday. The internal documents eerily show that a BP engineer wrote "this has been (a) nightmare well" just six days before the explosion, which led to the worst environmental disaster in U.S. history. This isn't the first time we've heard allegations of BP putting profits over safety. 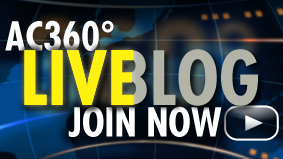 Tonight on 360, we're holding BP accountable. You'll hear who has made the claim before. It's not just one person. It's many people making the accusation. This is day 56 of the disaster. Oil is still gushing into the Gulf, even with a cap over the well. You might be getting tired of hearing about the disaster. We wish it wasn't happening, but we will stay on this story until the oil is cleaned up. Pres. Obama is back in the Gulf. Today he pledged again to help Gulf residents rebound from this disaster. "We are going to do everything we can, 24/7, to make sure that communities get back on their feet. And in the end, I am confident that we're going to be able to leave the Gulf coast in better shape than it was before," Pres. 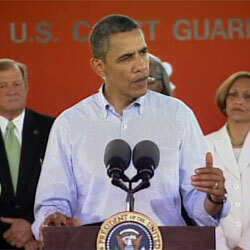 Obama said at a Coast Guard staging facility in Theodore, Alabama. He visited Alabama and Mississippi today. He will tour Florida's panhandle tomorrow. Then the President will address the nation Tuesday night from the Oval Office on the situation. We’ll have the raw politics. Do you think Pres. Obama is being tough enough on BP? Share your thoughts below and we'll have the results of a new poll on this topic for you tonight. We're also starting a new series of reports tonight we've entitled "Culprits of the Catastrophe." The first person on the list is Lord John Browne, BP's former CEO. He ran the company for decades and transformed it into a global empire. But Randi Kaye talked with critics who say that success came in large part because he cut costs and encouraged a "fix-it-when-it-breaks" attitude that's still in place at BP today. Browne's reign at the company ended amidst a personal scandal that made headlines around the world. We'll have all the details and hear what Browne says about the allegations is our first installment of "Culprits of the Catastrophe." Video: When will BP come on AC360°? Sound Off: What should Pres. Obama tell nation? President Obama will visit three Gulf states affected by the oil spill Monday and Tuesday and then address the nation on Tuesday night from the White House. On his fourth visit to the Gulf region since the disaster began April 20, Obama will make stops in Theodore, Alabama; Gulfport, Mississippi; and Pensacola, Florida, according to senior administration officials. After returning from the two-day trip, Obama will make a televised statement from the Oval Office on the night before he is scheduled to meet with top BP officials. 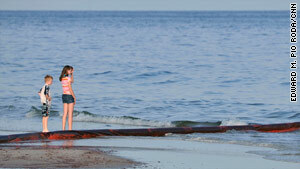 We want to know what YOU think Obama should say about the oil spill, BP, and the cleanup effort in the Gulf. Henry Ford once described history as "one damned thing after another." And he didn't even live in Louisiana. Much has been made of my "outburst" toward the Obama administration on May 26, with George Stephanopoulos on "Good Morning America," when I exclaimed, "Man, you got to get down here and take control of this! Put somebody in charge of this thing and get this moving. We're about to die down here!" But those emotions had been percolating below the surface like the crude that threatens our way of life today. President Obama arrived in Gulfport, Mississippi, on Monday, his first stop on a two-day tour of the states most affected by the oil disaster. 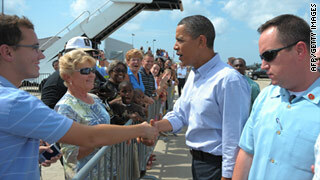 The trip marks his fourth visit to the Gulf Coast since the oil began to gush nearly two months ago. The president, who was met at the airport by Mississippi Gov. Haley Barbour, will also visit Alabama and Florida as he tries to get a better picture of the efforts to contain the spill. Obama's previous trips have been limited to Louisiana. Coast Guard Adm. Thad Allen, the administration's point person in the region, briefed Obama shortly after his arrival. Rehabilitating oiled birds is a difficult and risky effort, says David Mizejewski. Editor's note: David Mizejewski is a naturalist for the National Wildlife Federation and host and co-producer of "Backyard Habitat" on Animal Planet, a television series that shows people how to transform yards and gardens into thriving habitats for birds and other local wildlife. 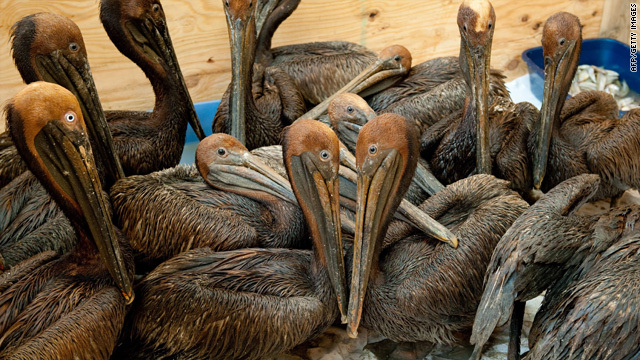 The BP oil spill has brought into the public's eye the tragedy of oiled wildlife. The pictures last week of pelicans completely covered in oil were horrific and rightly produced an outcry of rage from the public. Should these birds, and other oiled wildlife, be saved? Much like the struggle to contain the oil itself, there are no quick fixes or easy answers. First, we need to emphasize that rescue and rehabilitation of oiled wildlife must be performed by trained wildlife professionals and volunteers. Without proper training, would-be rescuers can inadvertently harm or further stress oiled wildlife or be harmed themselves, either by struggling animals or the oil itself. Rescuers must go through a weeklong training on the handling of hazardous materials as well as proper wildlife rescue techniques. Wildlife rehabilitation is difficult. It is more than simply retrieving, washing and releasing wildlife contaminated with oil. Rehabilitators not only clean wildlife but provide veterinary care and feeding. Some animals are desperately ill, while others may need only minimal care. Each animal is individually assessed and then treated appropriately. Experts may make the difficult decision that some creatures can't be saved. Even if he were to serve eight years in office, Barack Obama has likely already made all the most important decisions of his presidency. That's the nature of the presidency: The big decisions almost always come early, and then the president must live with them for better or worse. A president can sometimes reverse course, as Bill Clinton did after he lost Congress in 1994. But while that reversal preserved Clinton's popularity, it destroyed his leadership. He spent the next six years presiding over a government whose course was steered from Capitol Hill, not the White House. But big decisions seldom go right or wrong immediately. There are often months or even years of waiting for the outcome. 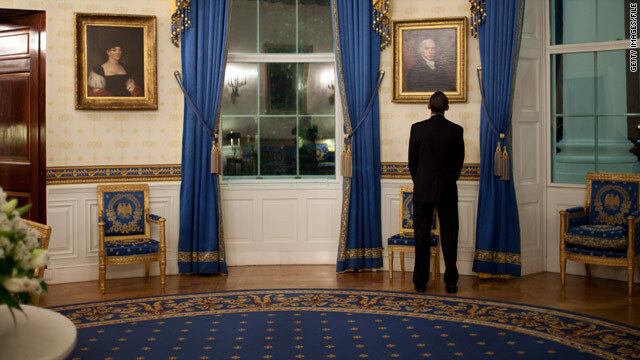 And on four of his big decisions, President Obama is waiting now.